Nourishing our bodies can be challenging sometimes. Sometimes there can be a lot of mind chatter. Chatter about what to eat, how to eat it, and when to eat it. It can be downright discouraging sometimes. I make a vow to myself every morning that I will make a mistake today and that it is all going to be okay. Having had an eating disorder, which literally is like having the drill sergeants of drill sergeants living in your brain, helps you appreciate just being able to eat anything with a peaceful mind. Eating should be fun. Eating should be adventurous. It should feel amazing and like it is igniting your soul. I remember being a child and eating and just basking the deliciousness of what I was eating. I didn’t think about how many calories were in something or how much fats was in it. I ate it and I moved on. There was no guilt later or remorse. This is what I want for myself now in everything I eat. I want to eat with all my senses and get lost in the moment of eating. What do you love to eat and get lost in the moment enjoying? Back to this amazing smoothie… this smoothie does this for me. I feel amazing drinking it. It ignites all my senses. I have no guilt or remorse later after having it. I actually look back and feel proud that I choose to nourish my body in an amazing way. I want you to drink this smoothie in the quietness of the morning light and enjoy it. See it nourishing your body and soul. Hit the pause button, and take the time out of your busy day to sit and appreciate YOU. So as you are drinking this amazing Green energy. Remember how freaking incredible you truly are. Look back right now on all your accomplished in your life. Look back and smile because you have everything to be proud of. I wanted to write all about the nutrients in this smoothie but something told me that I needed to share this instead. This is the perfect green smoothie to nourish your body. The fresh grapefruit juice is packed with vitamin C. Your body will be so happy that you choose this for a snack or breakfast. 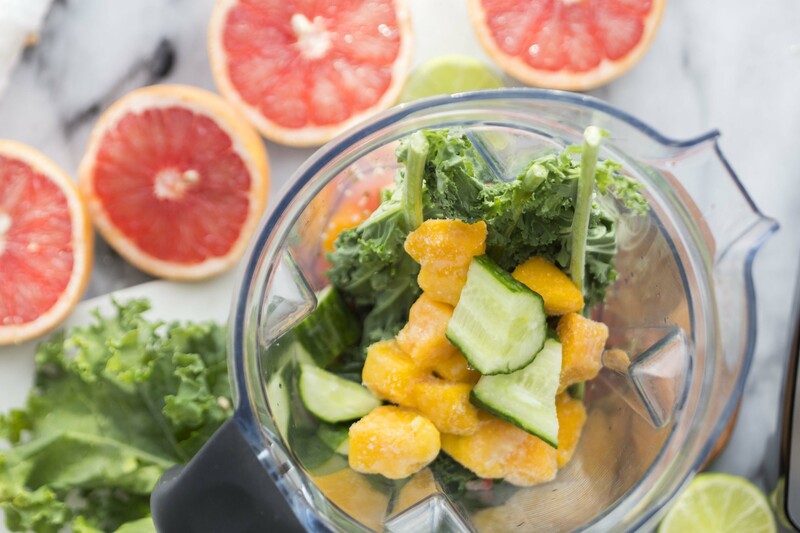 Place all ingredients into a high powered blender like a Vitamix and blend on high until smooth. Drink with love and visualize it nourishing every cell in your body. 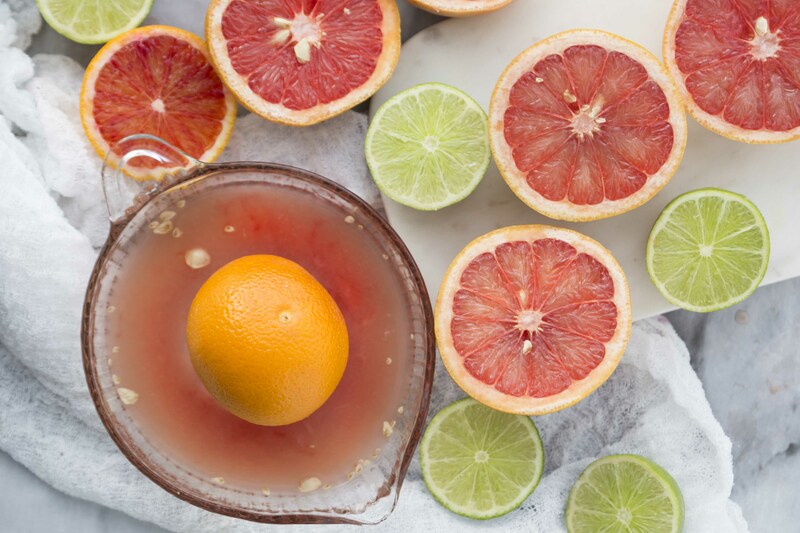 You can add a little maple syrup if your grapefruits are quite sour.